Please send your shipping info and rug color choice to info@enchantedhome.com so your outdoor rug can be on it’s way. Hope your week is off to a good start. Over here it is steamy…..more like what I remember August being. We have had some unusually mild days which worked for me just fine! Remember I use to do these on a pretty regular basis? I would feature various designs whose work I love and admire. Well, I am going to do them again periodically. There are so many talented designers out there that it’s fun to share the work of some of these talented individuals…..we can never stop getting great ideas and learning from each other! So, today we are looking at the work of Melissa Haynes Design based in Arkansas. I like her rendition on the new traditional, a more streamlined, cleaner, lighter look. Not as heavy or formal but still extremely pleasing to the eye. I could happily move into just about any of these beautiful rooms. And you? Just adore that finish on those cabinets! 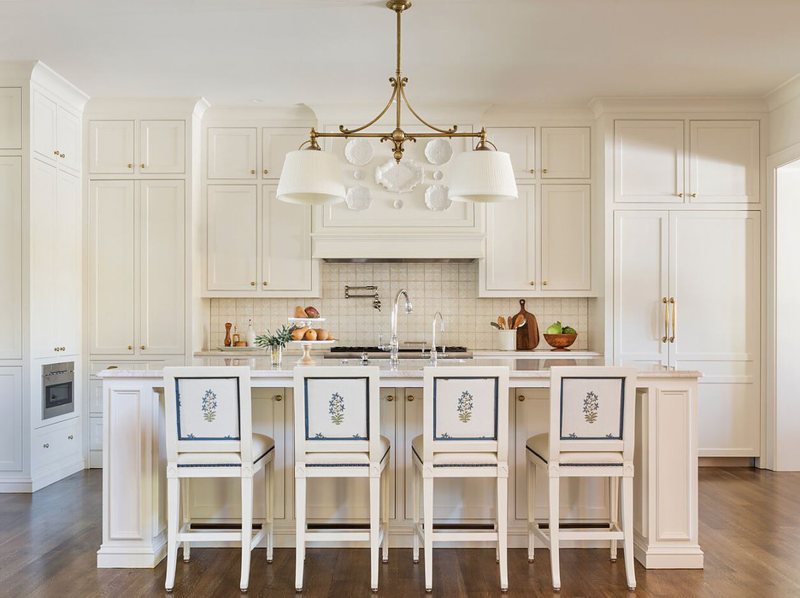 Beautiful and inviting kitchen, the kind that will stand the test of time for sure! Brick wall- yes! Banquette- yes! Frework chair- yes! This is a trifecta of beauty! Her take on bathrooms is right up my alley, beautifully done! 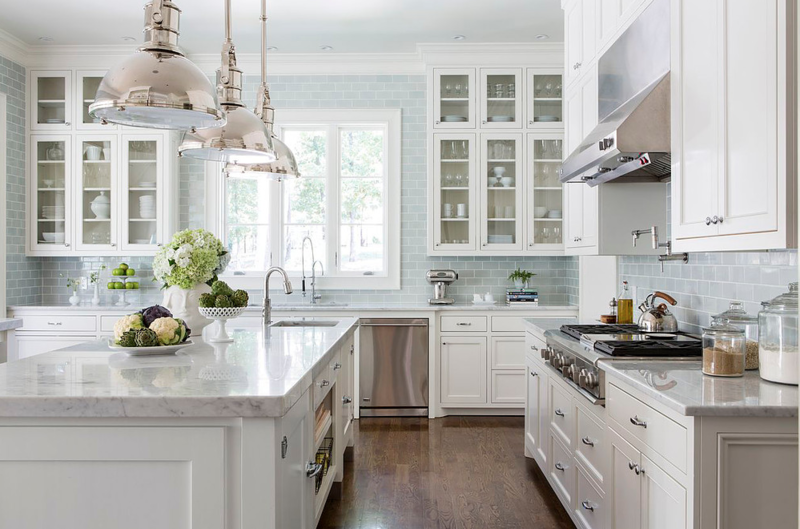 Wonderful working kitchen, isn’t that super pale blue backsplash tile pretty! If I told you this was the entrance/foyer to a sorority house would you believe me! 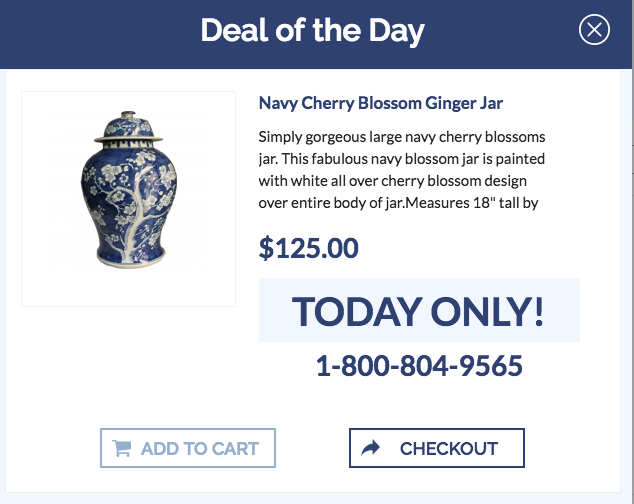 And they even have ginger jars:) These girls are going places! 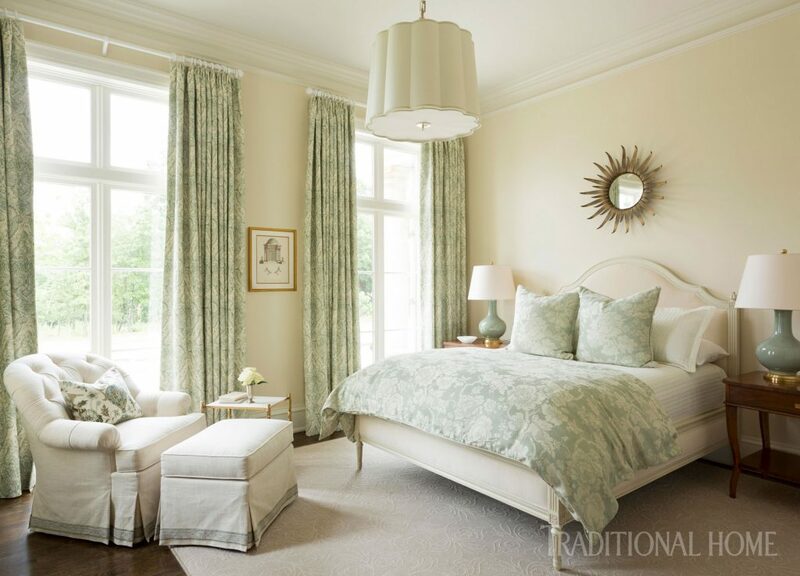 Love both of these bedrooms, who wouldn’t want to come home to these beautiful retreats! 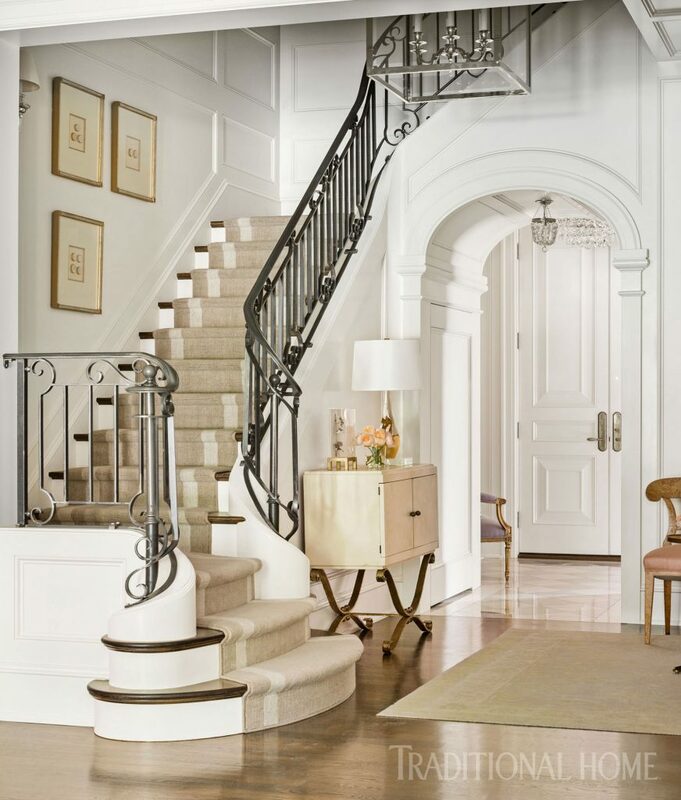 This is one elegant entry foyer, well done Melissa! Lots to love with Melissa’s work. And you? What do you think? Does her aesthetic appeal to you as much as it does to me? 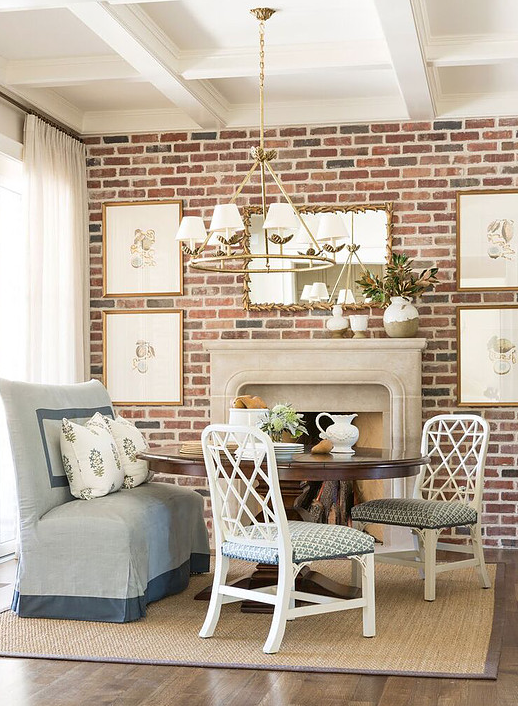 I like that her interiors feel classic and traditional but with an updated twist. 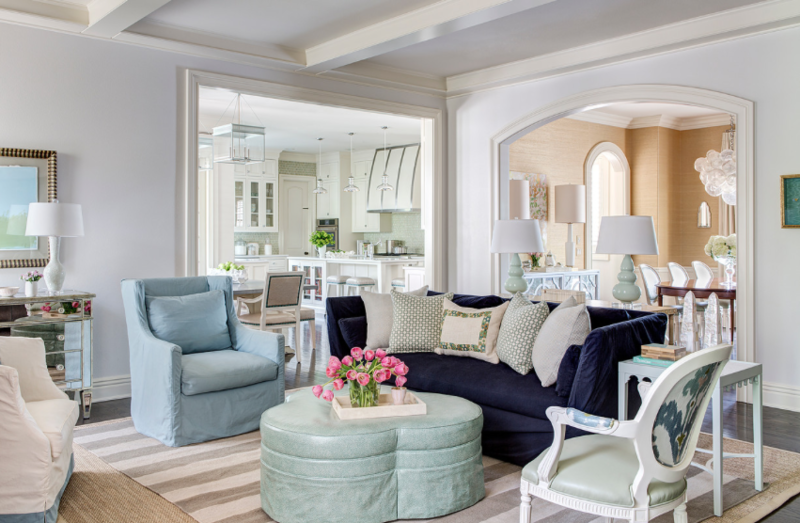 They feel fresh and welcoming, also of course love her liberal use of a soft color palette in most of her interiors. Always love to know your feedback so let us know! Click here to visit Melissa’s website and find out more about her work. Thanks for stopping by, wishing everyone a fantastic day. Until next time……. PS For anyone waiting on the porcelain presale, it is coming to our warehouse tomorrow, woo hoo. We will start getting orders out immediately as soon as the container is unpacked (we send out in the order they were received) Stay tuned for our arrival sale next week! Gorgeous rooms – every one of them! 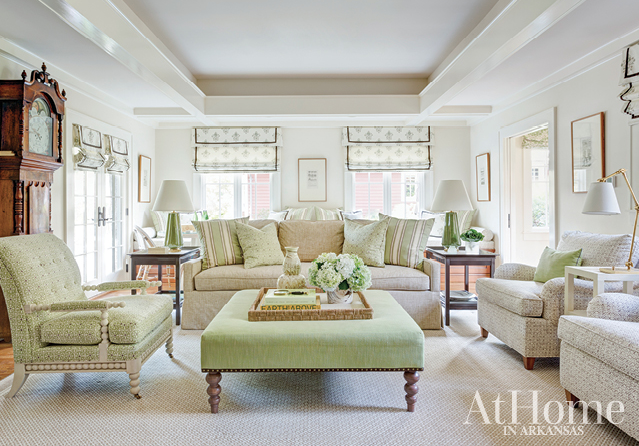 Beautiful work, love the color palettes, especially the soft green and ivory in the family room. Thanks for introducing Melissa to us Tina. Thank you so much for sharing this work with us. It speaks to my heart. I’m so happy to see appreciation for the traditional elements while lightening the palette. 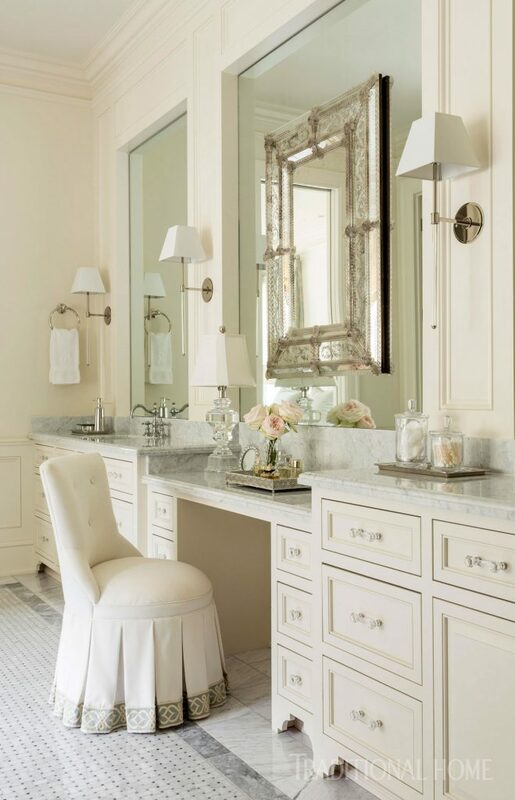 I see this as a timeless, classic approach to decorating which can be freshened and updated as trends come and go. In fact the permanent finishes in my home are much the same as this and it is over twenty years old. I try to stay in tune with trends without going overboard. Tina, you have been such an inspiring resource for me. Thank you. For the record, I started collecting Blue/White over 30 years ago. I don’t think it ever “went out of style” but I do think the styles of how it was used in decor changed several times. Tina you are an artist with blue/white design and I thank you so much for that. This was a fun post. I loved seeing Melissa’s work. 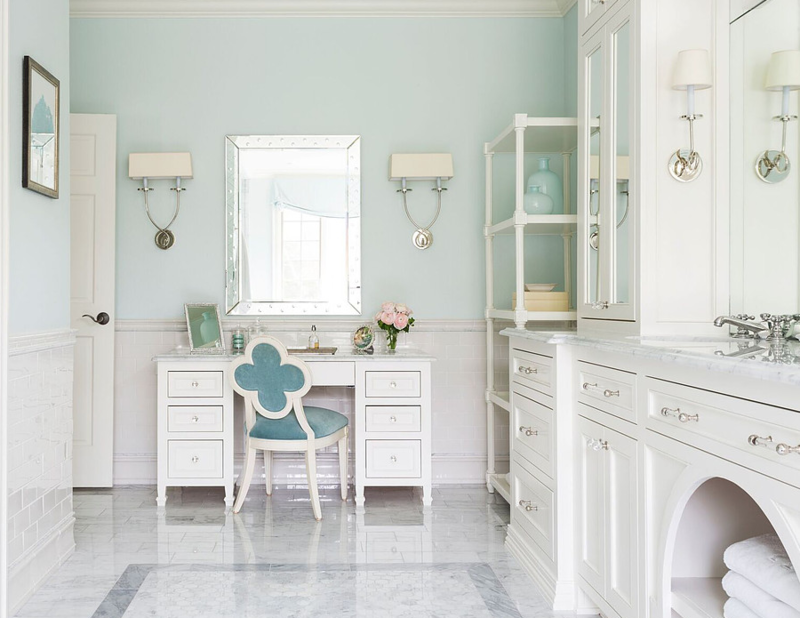 Beautiful, clean, classic esthetic. Thank you for sharing, Tina! 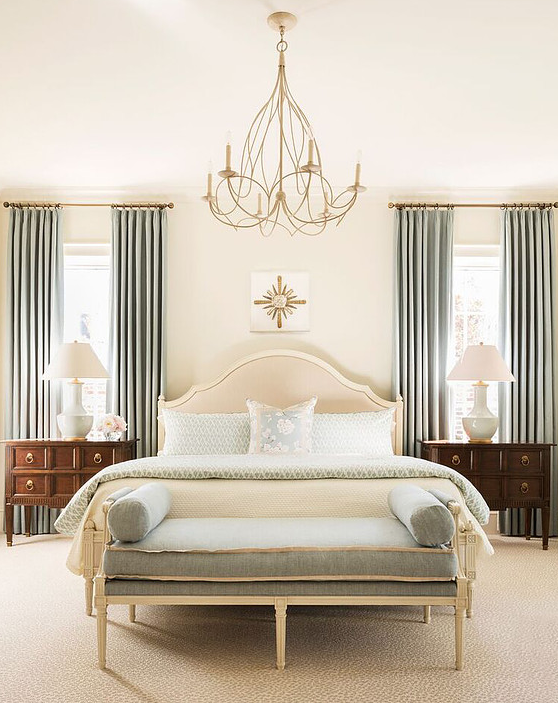 Beautiful rooms from a talented designer. Current, yet timeless. Thank you for the introduction to Melissa Haynes Design. And yes, those southern gals have a certain knack for decorating. Thanks for highlighting one of our great decorators here in Arkansas! We are blessed with many, many talented designers! Melissa’s work is beautiful! I like you could move in to any of those places! I love Melissa’s style. 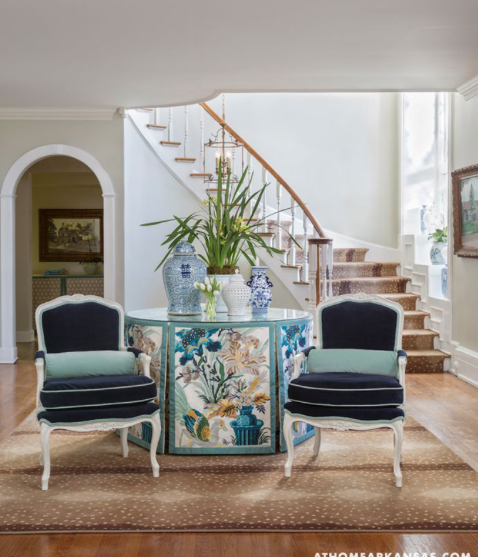 Every room speaks of timeless elegance, but not stuffy. 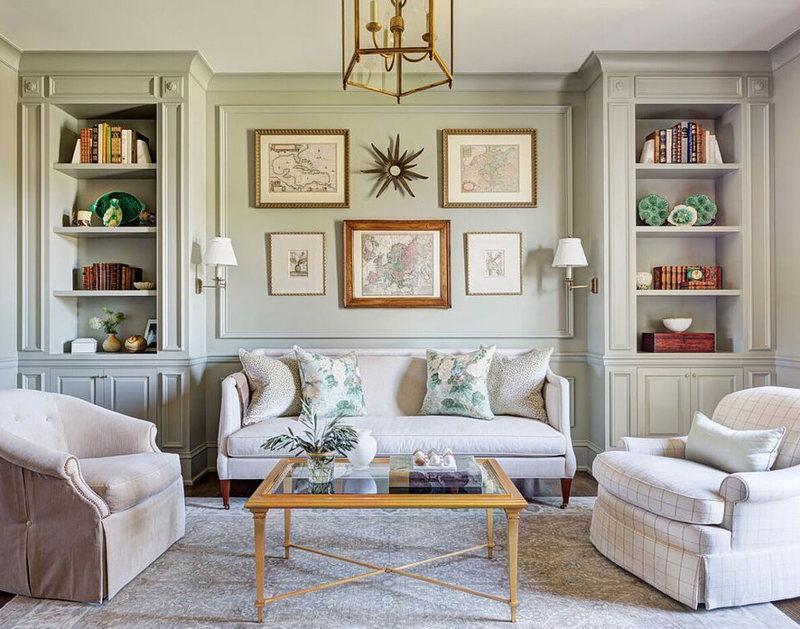 I noticed she loves cream walls with neutral furniture and a soft green in fabrics. 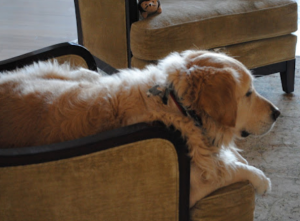 You always bring beauty into our day through your blog posts. And for that, I thank you! The sorority house is the Tri Delt at the Univ of AR where my granddaughter is a member. It’s absolutely beautiful. I like the new Traditional!………….Your new PB home speaks to me like no other!…….your ability to transition to a lighter designed home with classic appointments is amazing…….more relaxing. Your talent knows no limits……….thank you, Tina! 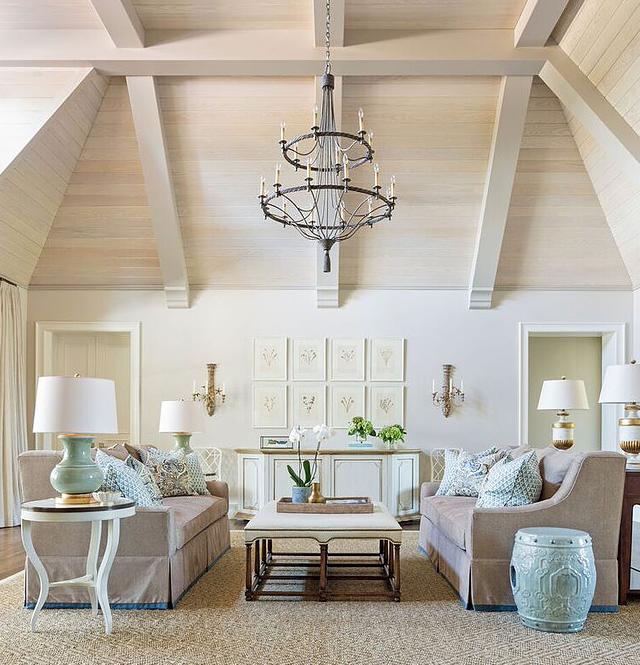 Hi Tina, I can see why you like her work so much, it is beautiful and very much reminds of the style you are doing for your Palmetto Bluff home. So soothing and welcoming, makes me want to do my entire house over!! I love all the light soft colors, thank you for sharing her work.